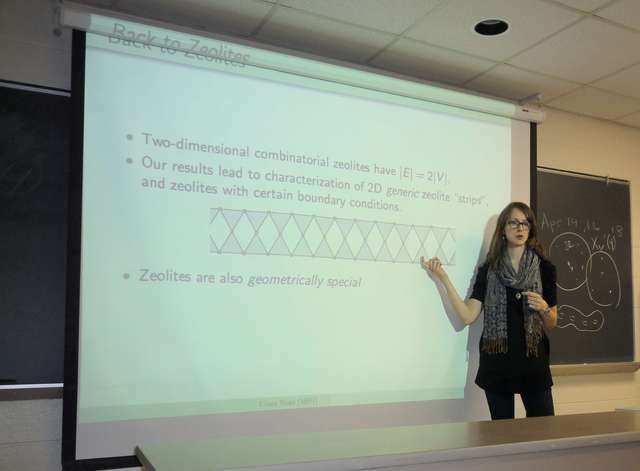 Marjorie Senechal: From aleph-null to epsilon - and back again? 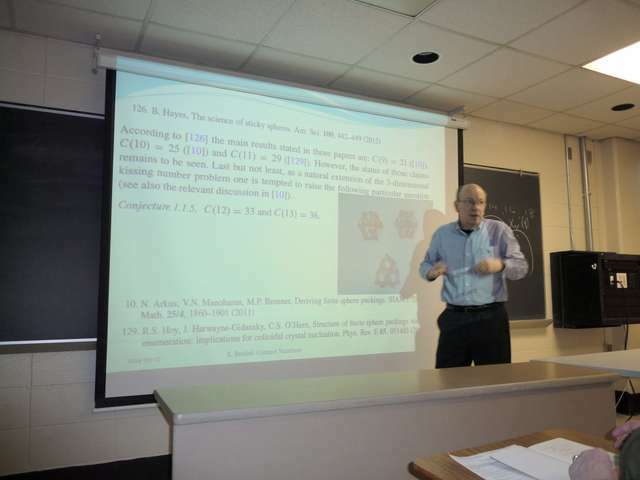 Nikolai P. Dolbilin: Local Criteria for Regular Sets. 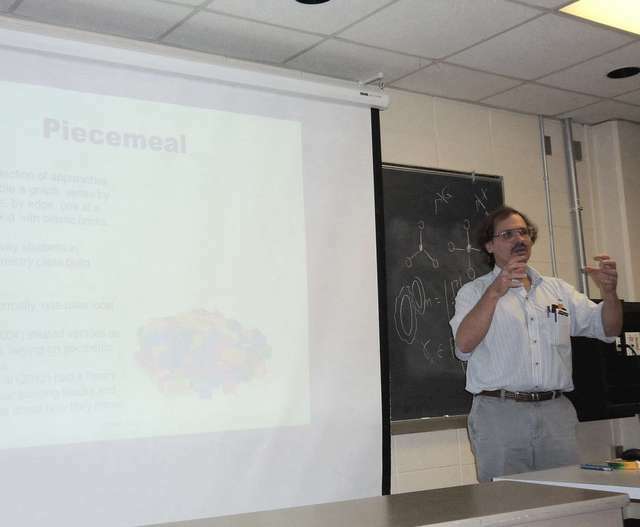 Karoly Bezdek: Separable sphere packings revisited. 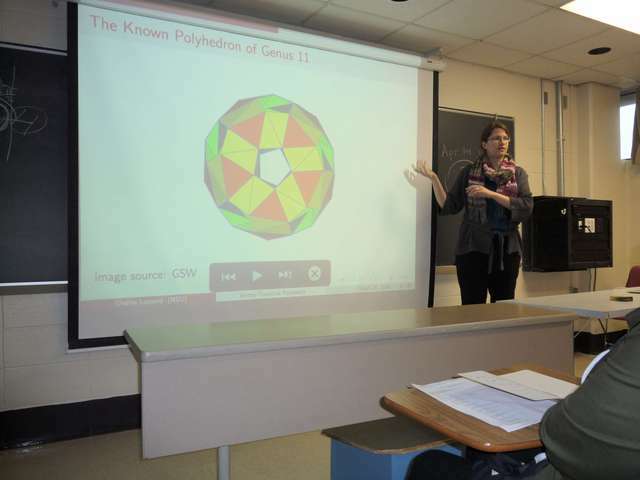 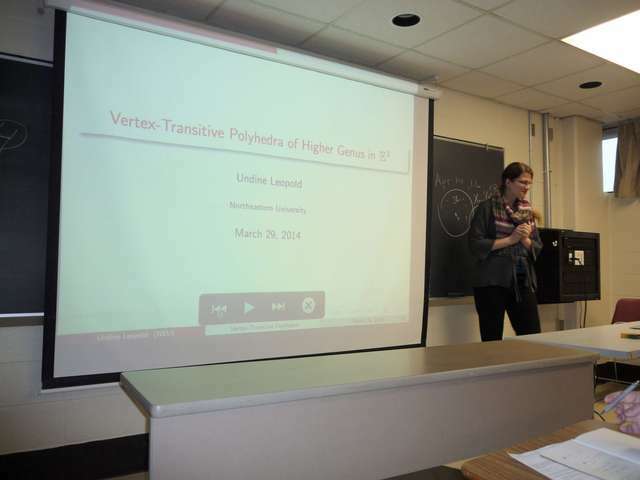 Undine Leopold: Vertex-Transitive Polyhedra of Higher Genus. 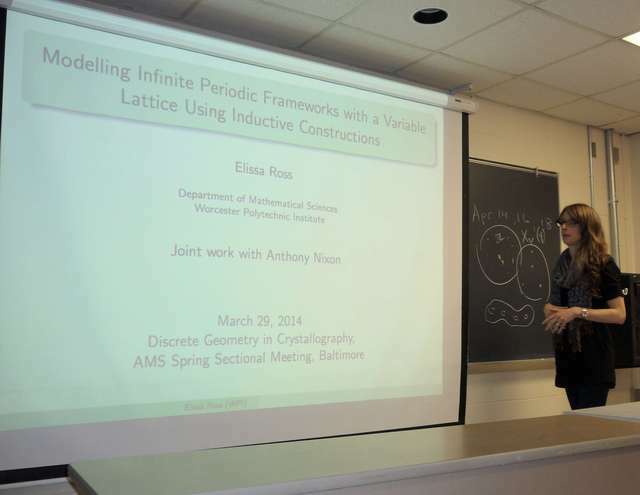 Elissa Ross: Modelling Infinite Periodic Frameworks with a Variable Lattice Using Inductive Constructions. 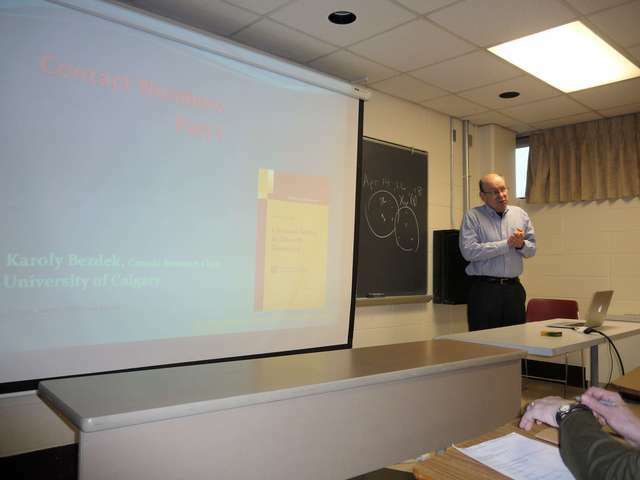 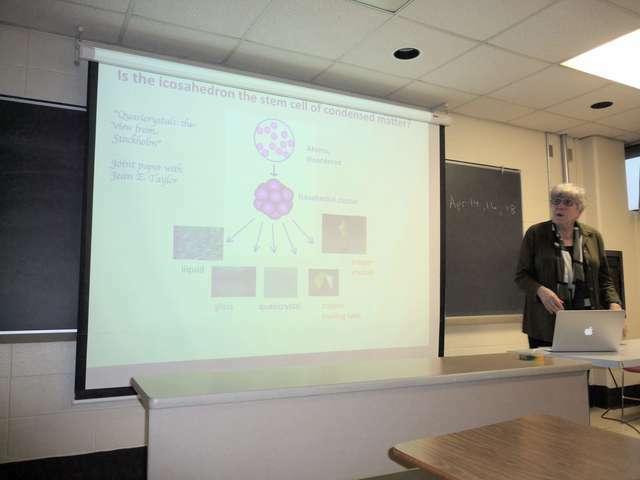 Robert Erdahl: Parity centres and dual lattice polytopes for parallelohedra. 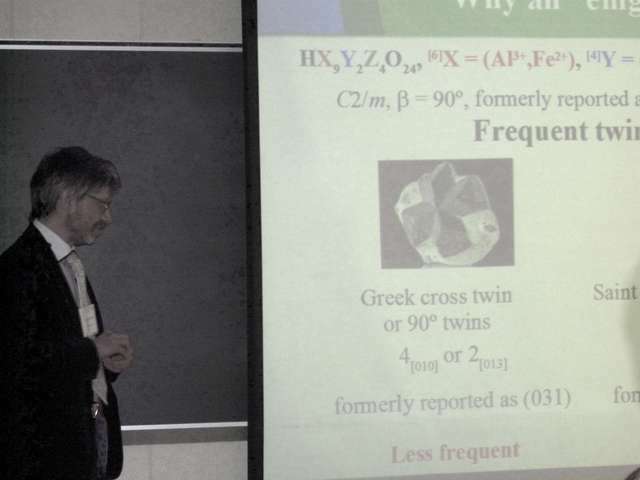 Massimo Nespolo: The staurolite enigma solved through the analysis of the pseudo-eigensymmetry of crystallographic orbits. 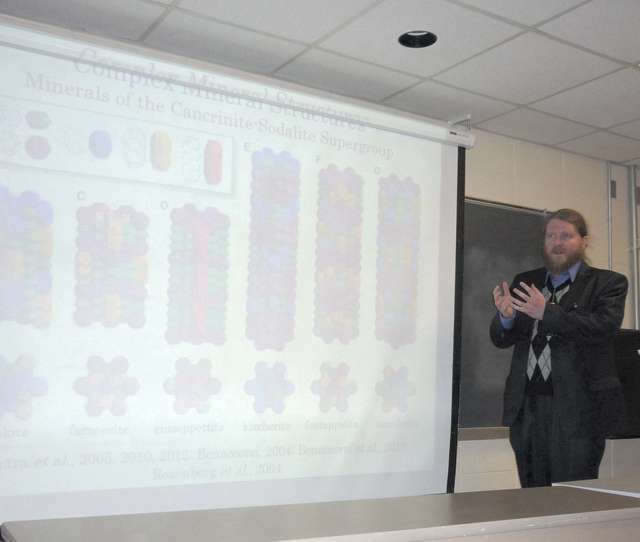 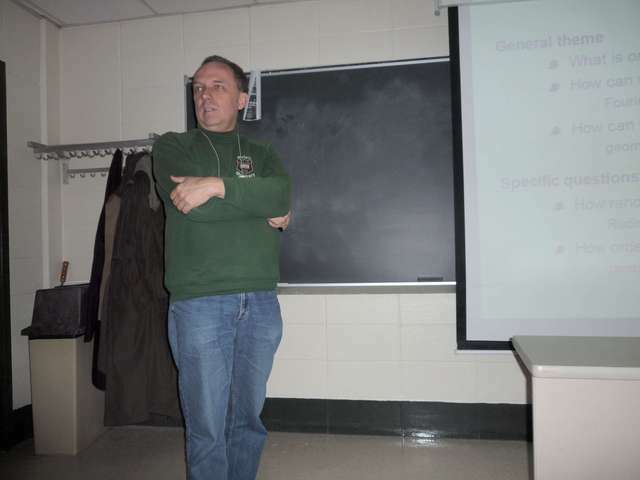 Sergey V. Krivovichev: Quantitative Measures of Complexity of Crystal Structures. 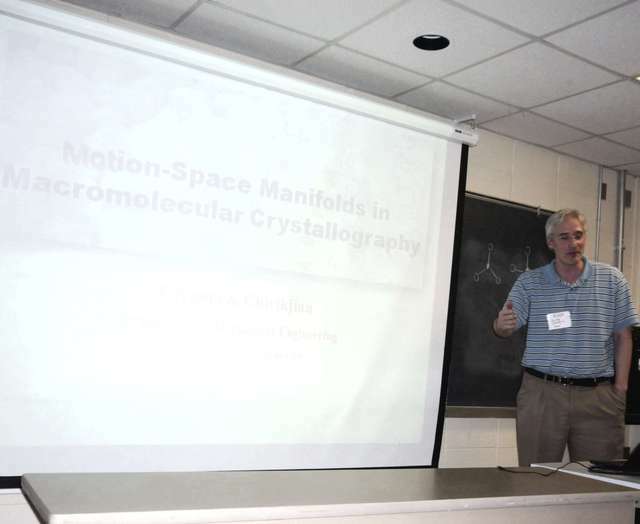 Gregory S Chirikjian: Motion-Space Manifolds in Macromolecular Crystallography. 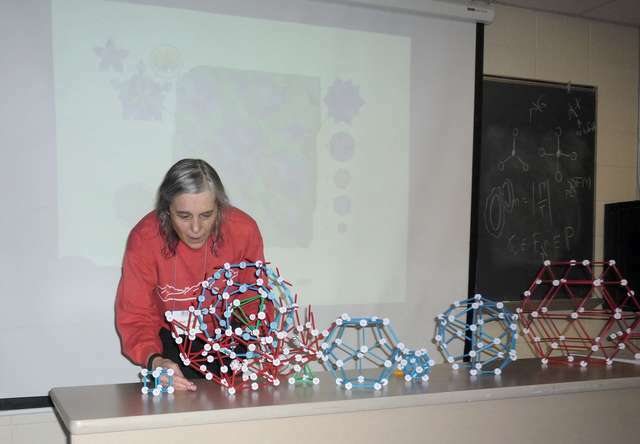 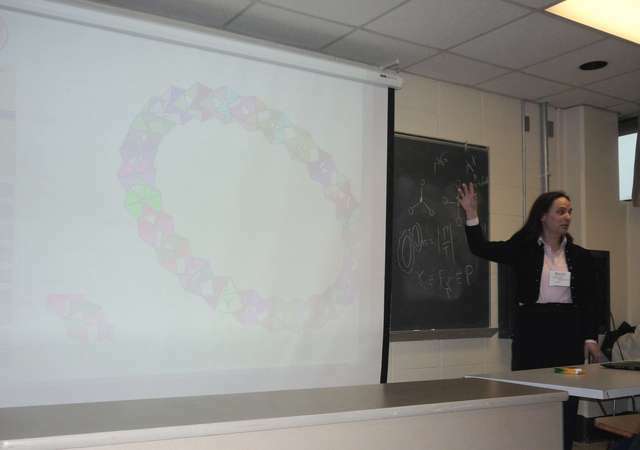 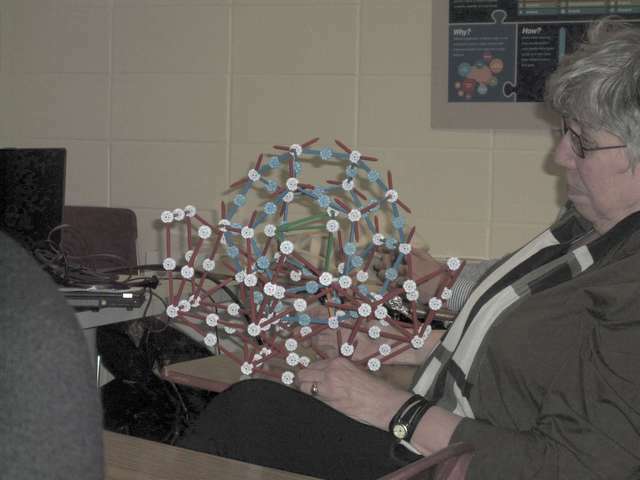 Brigitte Servatius: Constructing finite zeolites. 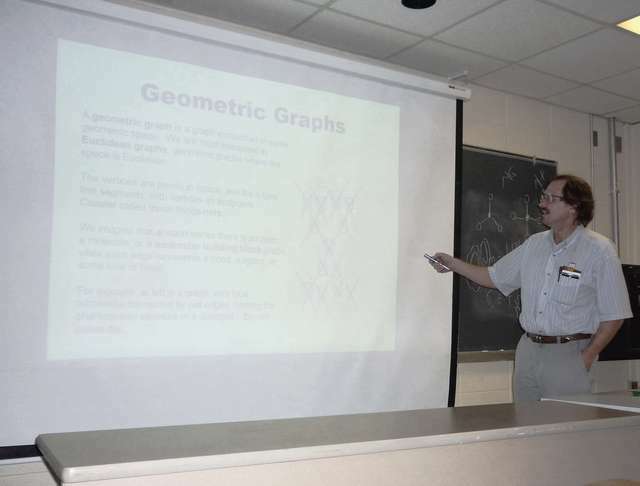 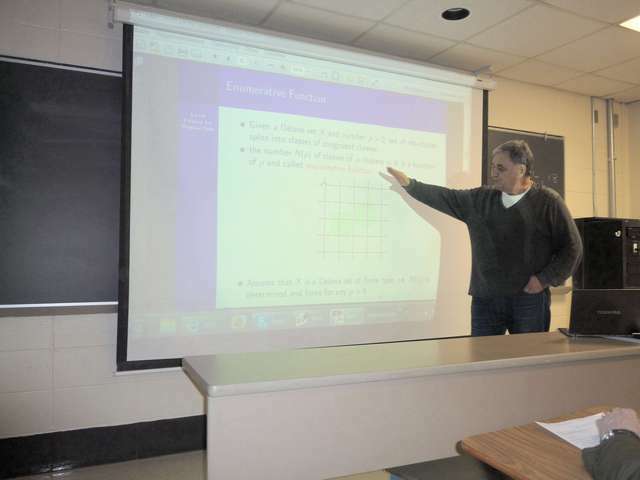 Gregory McColm: Generating Crystal Nets in Euclidean Space. 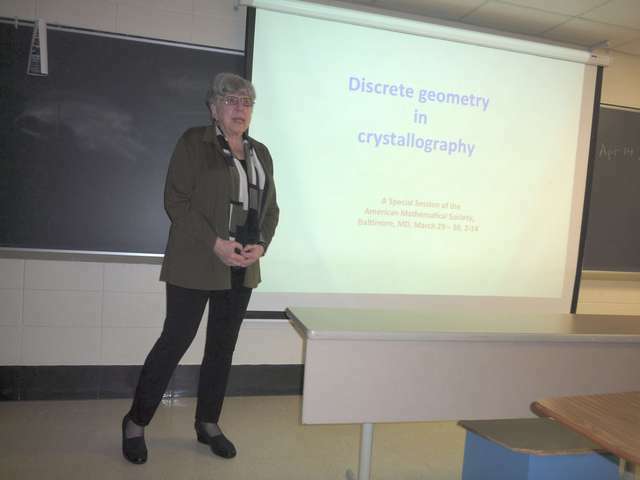 Jean E Taylor: Archimedian solids and quasigeometric descriptions of atomic positions in quasicrystals. 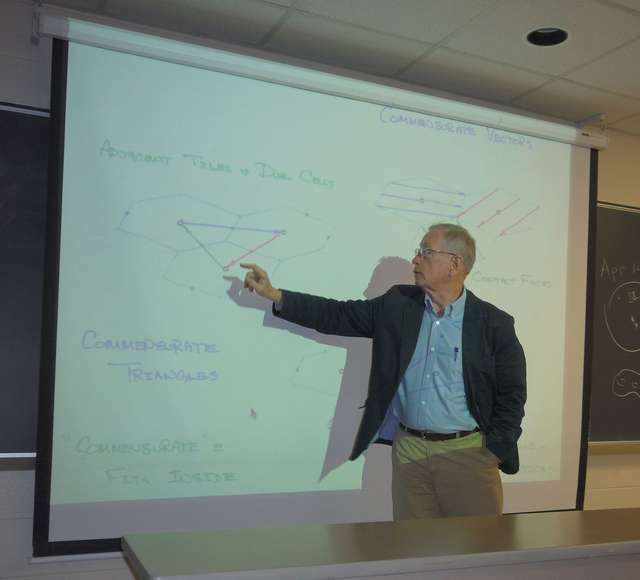 Franz Gähler: Primitive substitutions for higher-dimensional paper-folding structures. 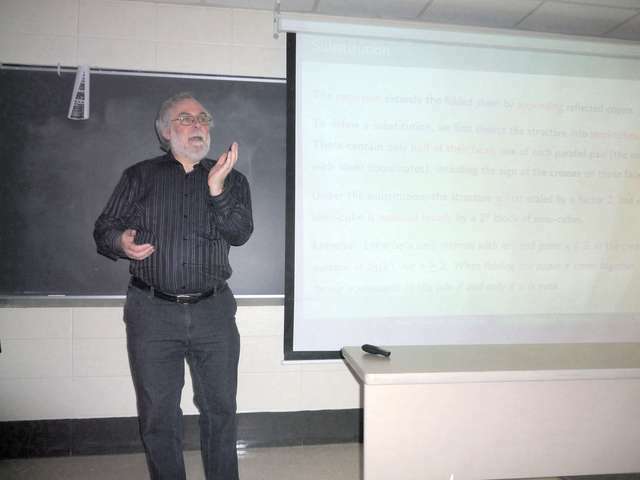 Michael Baake: Random noble means substitutions.